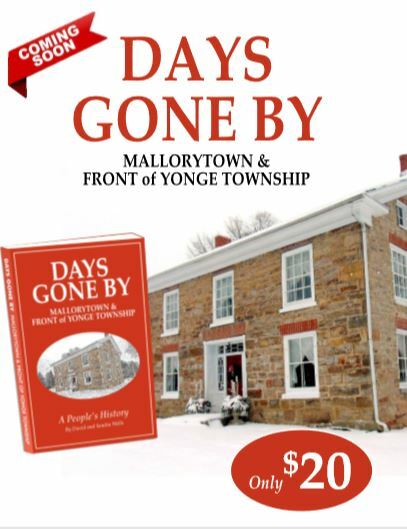 Dave and Sandra Wells are releasing their 3rd book Days Gone By on Sunday October 21st from 1 to 4 at the Mallorytown Coach House. Pages and pages of stories and pictures from Mallorytown & Front of Yonge Township. Once again, this book will capture the community and its people by those who have lived there deeply routed in the landscape and culture. It is with enthusiasm that the proceeds of this book will also be donated to the Mallorytown Coach House.